In a digital world where iPads, TVs and computers consume most of our children’s time, it is hard to find different ways to keep kids entertained in the outside world. Playing sport, going to the beach and throwing a Frisbee just doesn’t seem to cut it anymore, especially during the school holidays. Scenic World was a place I visited in my childhood that had burnt memories in my brain of places I’d never seen and things I’d never done before. 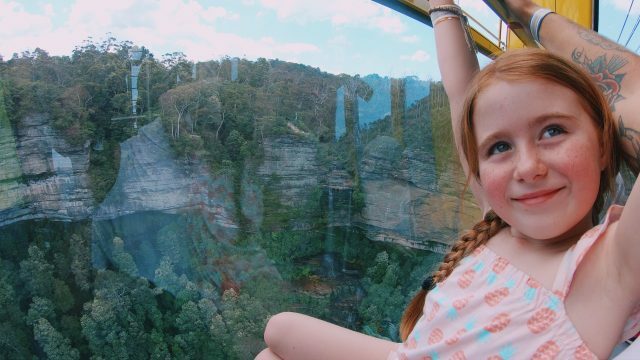 Hopping onto the Scenic Railway and being getting gently lowered by the steepest railway in the world through the Blue Mountains, definitely left us kids buzzing for years and years. 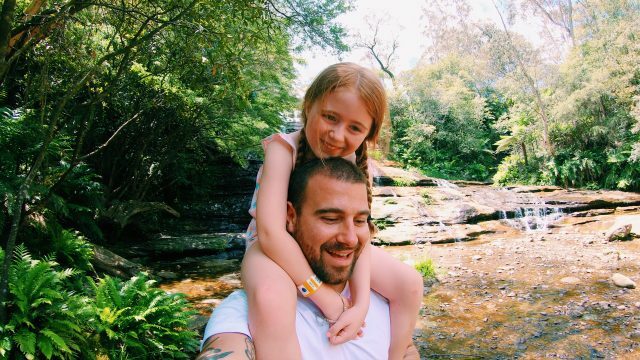 When the opportunity came up to take my 6-year-old daughter to Scenic World, I wondered if she would get the same buzz as I did when I was young, not having grown up with the internet and apps, and endless hours of kids TV. Would she find that nature, waterfalls, birds, lizards, little fish, trees and a Skyway with a see-through floor overlooking the most amazing mountain gorge I’ve ever seen, as exciting as I did?… The answer is YES! Just being in the mountains alone gave my daughter a wide-eyed rush of adrenaline that I’d never seen before. She just wanted to explore and do everything. Even after we went on the Skyline, passing through the gift shop full of Australian plushies and the delicious food court, she still wanted to get down into the rainforest and explore. Being a ginger, I thought she would hate any form of walking in the sun. I was wrong again. “Dad, let’s walk down here… Dad, look at this…Dad, hurry up there’s a waterfall…Dad, there’s sardines in the water”. We ended up walking for an hour or more, up to the lookouts overlooking the famous Three Sisters. Then walking through the ancient rainforest reading the fun facts that were placed on signs around us. My daughter reading everything and pointing it out to me with the excitement of her discovery was something that for the first time, had my cheeks sore from smiling. On the car ride home, she quietly told me that her favourite part was walking through the rainforest with me; I could not have been a more proud Dad. 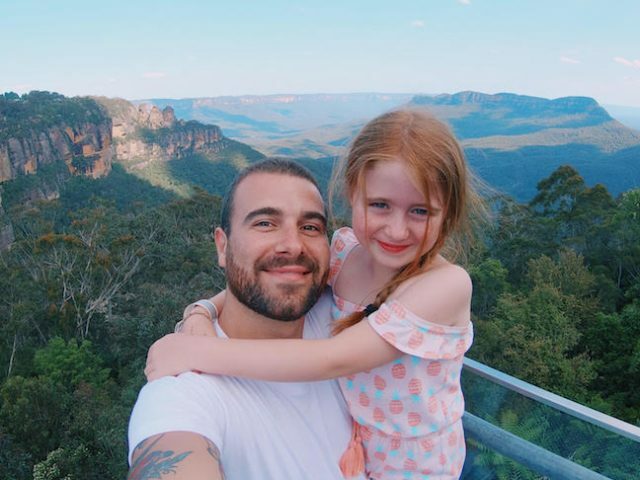 It wasn’t even the adrenaline of the Cableway or the Scenic Railway that she raved about (but still LOVED), it was time spent with Daddy, seeing the most beautiful sights together and learning about this amazing landscape. Educational and exhilarating – no iPad app could put those two words in the same sentence.